First Person games for 3DS. It's expandable! I felt something today while I was playing my N3DS today... In Tomodachi Life, I gave a new apartment design to one of my T.L. 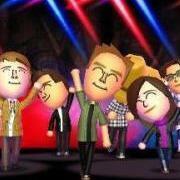 Miis, and decided to take an inside look. That moment when I was standing, just looking at my T.L. Mii at one side of the screen, in the center of the apartment, with the 3D on, made me feel like I was experiencing virtual reality! Now I thought to myself: "Why don't we have more of this?" Granted, there are a few decent titles for the 3DS that involve first person, and there is indeed a FPS game on the way (Metroid Prime: Federation Force), but besides that, I feel that the potential of 3D FP games has never been fully realized. No game ever came as close to making me feel like I was IN the game as much as Tomodachi Life did for just a moment, and that's a bad thing! I thought I'd share this opinion with you guys so that we can talk more about this, and see just how far 3D First Person games could go. In other words, what do you guys think? 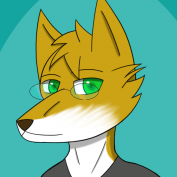 http://www.youtube.com/watch?v=VQd1nI33lKg SWASHBUCKLING FURRIES LOL Looks like Keiji's making a new series that he plans to make into a trilogy. Judging from the trailer, I'm actually interested. I actually kinda lol'd when I read the first sentence of the IGDaily article on Machinima http://www.insidegam...-3ds-next-year/ So yeah. Your thoughts?